The Mission Morning Mix is now Fridays from 8-10am! A little bit later in the week and the morning = Elizabeth being more awake. And this week I’ll be giving away a pair of tickets to see Minus the Bear September 9th at Slims plus my parents are coming in to the studio. This is going to be embarrassing great. 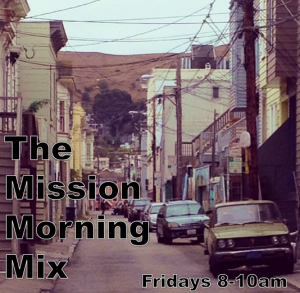 Text in your requests for Friday to 415-367-4679.